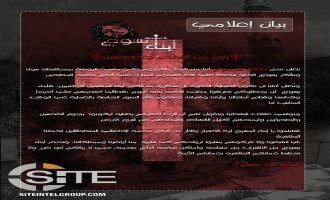 An Islamic State (IS) supporter incited lone wolves in Egypt and Western countries including the United States to attack churches and "worshipers of the Cross," and separately, depicting a fighter looking at Columbus Circle in New York City, warned of "slaughter" to come. 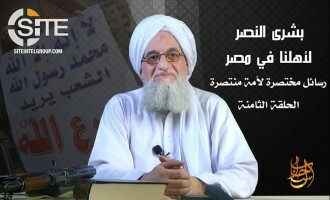 The Sinai-based Jund al-Islam, an al-Qaeda (AQ)-aligned group, publicly dismissed one of its members in its first statement since November 2017. In the message, which was distributed on Telegram on August 26, 2018, the group announced that "Ahmed al-'Arjani" was expelled its ranks due to his "lack of adherence to the policy of the group and its regulations," without elaborating upon his exact violation. 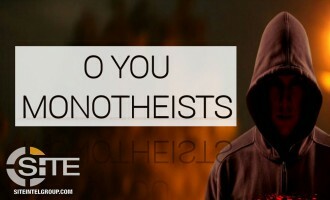 We call on our dear brothers - soldiers and officials - on the necessity of being disciplined on the methodology and policy followed by the group, for there is no group without listening and obeying. We stress that any violation of this policy requires punishment and accountability, which may rise above dismissal. The Islamic State's (IS) Sinai Province claimed credit for a suicide bombing on an Egyptian military convoy in the south of Arish in North Sinai. 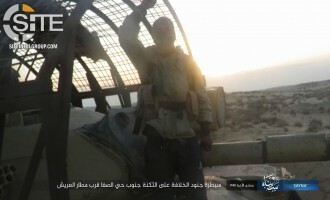 The Islamic State's (IS) Sinai Province claimed multiple bombings targeting Egyptian army and police vehicles around al-Arish, and published photos of the remnants. 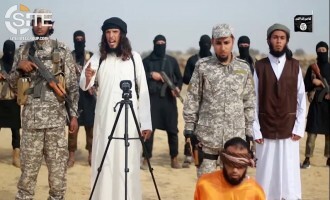 The Islamic State’s (IS) Sinai Province released a video vilifying Hamas and calling on Muslims in Gaza to attack its members as well as Shi’ites and Christians. 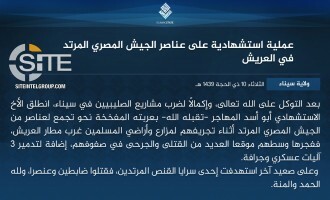 The Islamic State (IS) issued a formal communique taking credit for the shooting attack at the St. Mina Coptic Church in Helwan in the south of the Egyptian capital, Cairo. 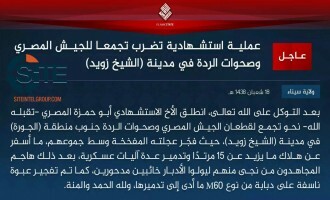 The Islamic State's (IS) 'Amaq News Agency reported that the group is responsible for the shooting attack at the St. Mina Coptic Church in Helwan, located on the southern outskirts of the Egyptian capital, Cairo. As part of its “economic war” on U.S. allies, the Islamic State (IS) reported in Naba 112 that its fighters in Central Sinai cut power to a cement factory used by the Egyptian military, and separately, asserted that fighters in Iraq’s Diyala governorate hold control over areas. 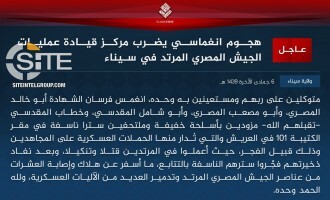 The Islamic State’s (IS) Sinai Province claimed targeting Egyptian military and police forces in a bomb blast, RPG attack, and clashes in Arish, killing and wounding several. 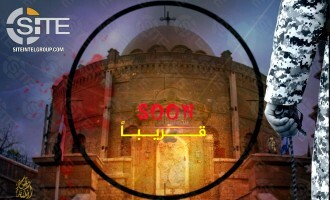 The Islamic State’s (IS) ‘Amaq News Agency released a video will of one of the fighters involved in the St. Mina Coptic Church in Helwan, Egypt. The Islamic State's (IS) 'Amaq News Agency released a video of the group's attack on al-Arish Airport during the visit to it by the Egyptian Ministers of Defense and Interior. 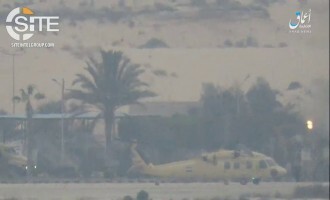 The Islamic State's (IS) Sinai Province claimed striking an Apache helicopter and killing two military officers during the presence of Egyptian Interior Minister Majdi Abdul Ghaffar and Chief-of-Staff of the Egyptian Armed Forces Sedki Sobhy at Arish Airport. 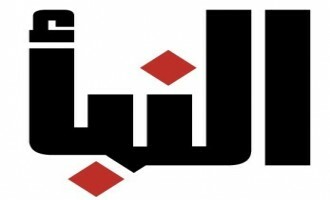 The Egypt-based Hasam Movement (Harakat Sawa’ed Misr) called for an uprising against Jerusalem being recognized by the United States as Israel's capital, and maintaining its nationalist interests, declared that the holy city will not be "liberated" unless Cairo is freed first. An alleged group calling itself "Harakat Abna' Yeshua" (Movement of the Sons of Jesus) claimed credit for the November 24, 2017, attack at the Rawdah mosque in Bir al-Abed in North Sinai. 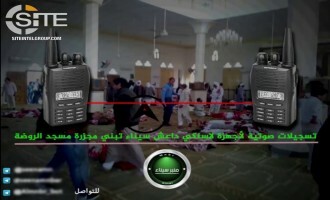 A Sinai-based group opposed to the Islamic State (IS) distributed what it described as a leaked wireless conversation proving the culpability of the IS in the deadly attack at the Rawdah mosque in Bir al-Abed. 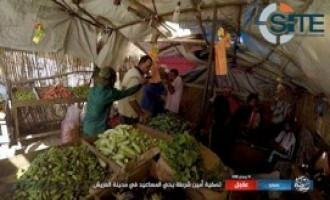 Harakat Sawa'd Misr (Arms of Egypt Movement), or "Hasam," condemned the deadly attack at the Rawdah mosque in North Sinai and declared that it holds the Egyptian government responsible for protecting the people. The Sinai-based Jund al-Islam, a group in opposition of the Islamic State (IS) and its local branch, Sinai Province, declared it is innocent of the deadly attack at the Rawdah mosque in Bir al-Abed. 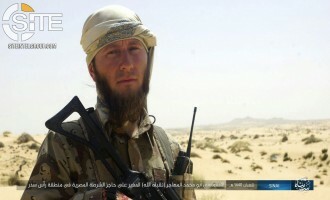 The Islamic State's (IS) Sinai Province photographed the corpse of Lieutenant Colonel Ibrahim Hussein Mohammed, who, according to media reports, was among soldiers and civilian employees killed in an ambush in Central Sinai on November 9, 2017. 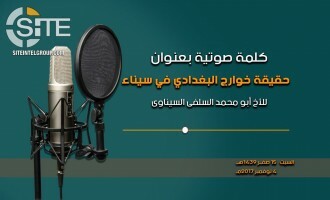 The Sinai-based Jund al-Islam, a group that last released propaganda and claimed attacks in 2015, declared in an audio speech that it ambushed Islamic State (IS) fighters as a preemptive move in October 2017. 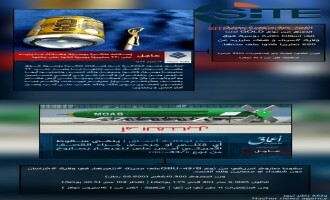 An Egypt-based group calling itself "Ansar al-Islam" claimed credit for the clash with Egyptian security forces in the Bahariya Oasis on October 20, 2017, in which 16 officers were reportedly killed. 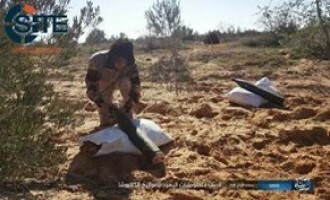 The Islamic State's (IS) Sinai Province claimed killing and wounding 40 Egyptian soldiers in raids on "key positions" in Arish and Sheikh Zuweid, and also firing a rocket at the Eshkol Complex in Israel. 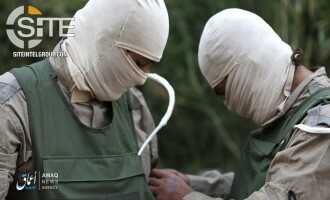 The Islamic State’s (IS) Sinai Province claimed killing 14 Egyptian soldiers in a two-man suicide raid east of the city of al-Arish. 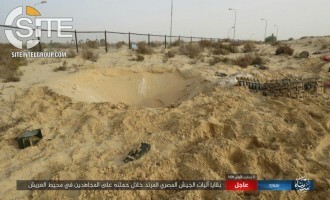 The Islamic State's (IS) Sinai Province claimed a suicide bombing and follow-up raid on an Egyptian military position in a cement factory in central Sinai. 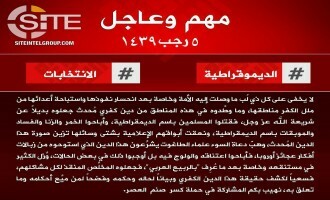 The Islamic State's (IS) 'Amaq News Agency reported a suicide bombing on Egyptian soldiers in central Sinai. 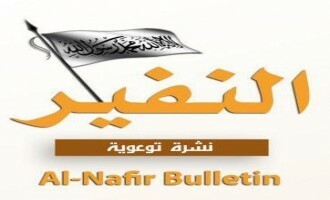 The pro-Islamic State (IS) Wafa' Media Foundation published an article slamming Harakat Sawa'd Misr (Arms of Egypt Movement), or "Hasam," and other revolutionary groups in Egypt as branches of the Muslim Brotherhood. 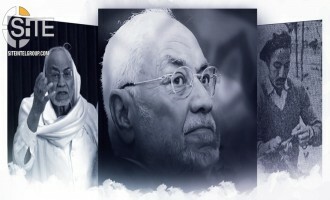 Harakat Sawa'd Misr (Arms of Egypt Movement), or "Hasam,” eulogized former Muslim Brotherhood leader Mohammed Mahdi Akef and likened him to Nelson Mandela and Che Guevara as an “icon of resistance”. 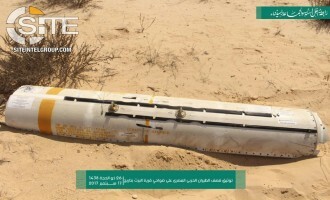 After accusing Israel of spearheading a plot alongside Egypt to eliminate Rafah, the Sinai-based “Rabitah Ahl al-Sunnah wal Jama’a” published photos of shells allegedly dropped by Egyptian warplanes in the area. The Islamic State’s (IS) Sinai Province published a photo report on the September 11, 2017, suicide bombing and raid on a convoy of Egyptian security forces in Bir al-‘Abd in which it had claimed killing and wounding 35. 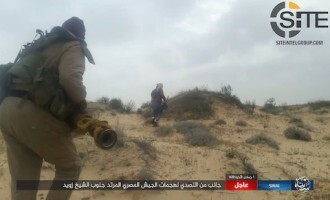 The Islamic State’s (IS) Sinai Province claimed ambushing a convoy of what it called “apostate Awakenings” close to the Sinai-Gaza border, killing and wounding many and captured war spoils. 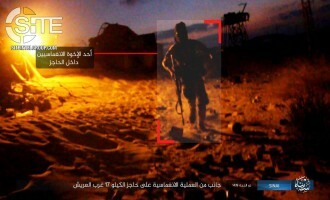 The Islamic State’s (IS) Sinai Province claimed killing and wounding “many” Egyptian soldiers in a suicide bombing at their checkpoint south of Rafah. 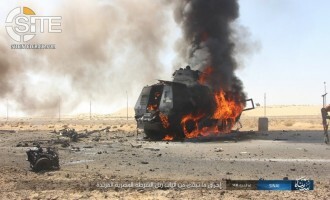 The Islamic State’s (IS) Sinai Province claimed killing and wounding 35 Egyptian policemen in a suicide bombing and raid on their convoy in Bir al-‘Abd, and also repulsing an Egyptian military campaign south of Rafah. 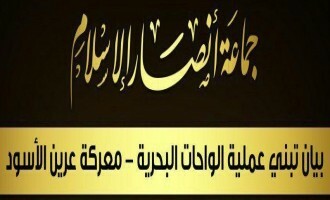 Harakat Sawa'd Misr (Arms of Egypt Movement), or "Hasam,” issued a statement for the occasion of Eid al-Adha, reiterating in it its vow to continue jihad. 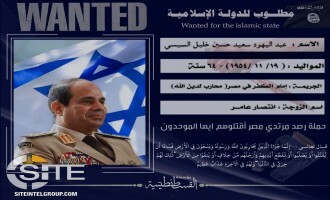 The pro- al-Qaeda (AQ) al-Hijrah Media published a poster displaying Egyptian President Abdul Fattah al-Sisi as “wanted dead or alive”. 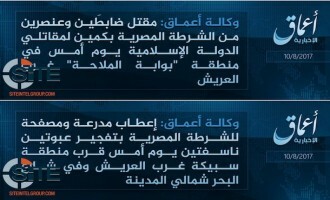 In consecutive messages, ‘Amaq News Agency reported Islamic State (IS) fighters targeted Egyptian police with explosives and in an ambush near Arish in North Sinai. 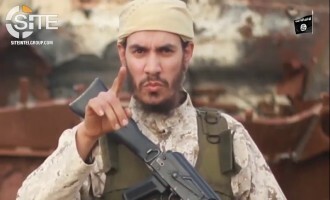 Amidst the unrest in Israel surrounding security restrictions placed on al-Aqsa Mosque, Islamic State (IS) supporters suggested that the group’s Sinai rovince capitalize and launch rockets and mobilize fighter units. 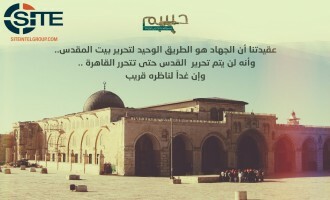 In messages promoting its cause and focusing on al-Aqsa Mosque, Harakat Sawa'd Misr (Arms of Egypt Movement), or "Hasam," declared that “Jerusalem will not be liberated until Cairo is liberated”. 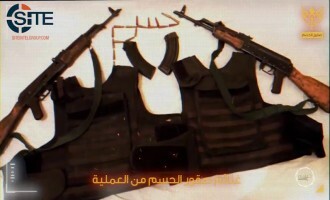 Harakat Sawa'd Misr (Arms of Egypt Movement), or "Hasam," claimed credit for a shooting on an Egyptian police convoy in Fayoum in which one policeman was killed and three others were wounded. 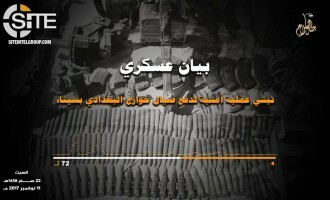 Harakat Sawa'd Misr (Arms of Egypt Movement), or "Hasam," claimed in a year-in-review infographic that its fighters killed 27 Egyptian security forces and wounded 56 others throughout the country. 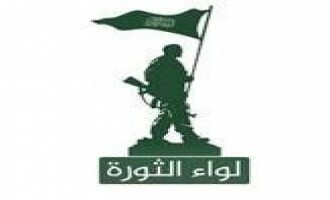 Harakat Sawa'd Misr (Arms of Egypt Movement), or "Hasam," mourned the killing of one of its fighters and urged Egyptian Muslims to take him as an example, and also pointed to the death of a civilian during clashes between police and residents of al-Warraq island on the Nile in Cairo, using it as a call for violence. The Islamic State’s (IS) Sinai Province published a photo report on the July 7, 2017, suicide raid and assault on Egyptian soldiers and tribal militiamen in the south of Rafah. 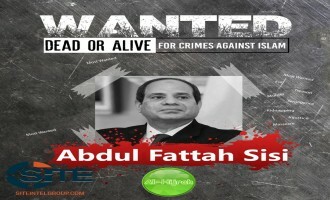 The Egypt-based Harakat Sawa'd Misr (Arms of Egypt Movement), or "Hasam," claimed that the Egyptian government, through its security forces, kills innocent civilians then attributes them to the group. 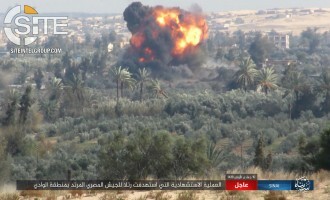 The Islamic State’s (IS) Sinai Province claimed killing and wounding over 60 Egyptian soldiers and tribal militiamen in two suicide bombings and a suicide raid in the south of Rafah. 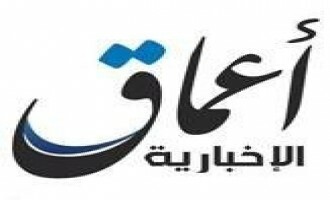 Harakat Sawa'd Misr (Arms of Egypt Movement), or "Hasam," claimed assassinating a National Security police officer near his residence in the Khanka area of Qalyubia governorate. 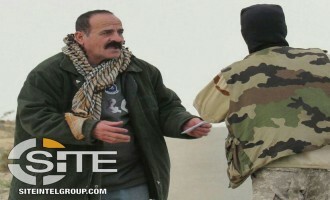 The Political Office of Harakat Sawa'd Misr (Arms of Egypt Movement), or "Hasam," urged Egyptian revolutionaries to unite and on its part, vowed to continue fighting the government and its security elements. Harakat Sawa'd Misr (Arms of Egypt Movement), or "Hasam," claimed killing two police officers and wounding three others in a roadside bombing on their vehicle in Cairo. The Islamic State’s (IS) Sinai Province published photos of a fighter assassinating two police elements in the al-Masa’eed neighborhood of downtown Arish. 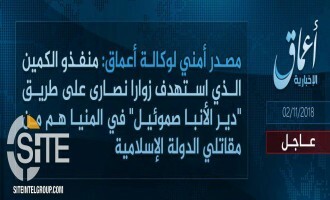 Along with the report from its ‘Amaq News Agency for the attack, the Islamic State (IS) issued a formal communique claiming credit for the killing of Coptic Christians in Minya, Egypt. 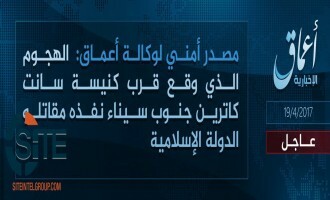 The Islamic State (IS) claimed credit through its ‘Amaq News Agency for the killing of Coptic Christians in the Egyptian city of Minya. 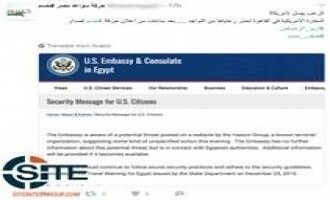 Harakat Sawa'd Misr (Arms of Egypt Movement), or "Hasam," noted the security message to U.S. citizens in Egypt issued by the U.S. Embassy following the group’s advertisement for a video, and remarked that the only “killers” citizens should dread are the “coup mercenaries” of Egyptian President Abdul Fattah al-Sisi. 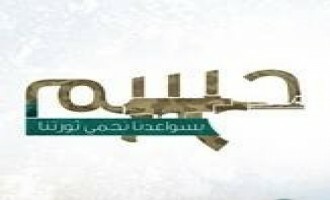 Harakat Sawa'd Misr (Arms of Egypt Movement), or "Hasam," released a video of its May 1, 2017, armed attack on a police patrol in the Egyptian capital, Cairo. 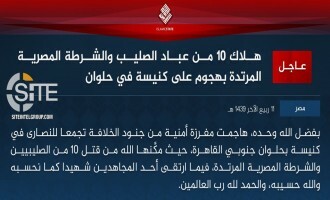 The Islamic State’s (IS) Sinai Province claimed killing over 15 Egyptian soldiers and tribal militiamen in a suicide bombing and follow-up attack in Sheikh Zuweid. 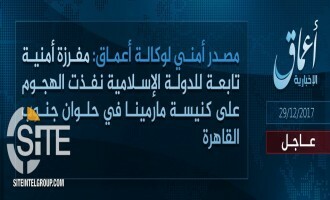 The Islamic State (IS) claimed an ambush on “Awakenings” forces near the Egyptian village of Barth, killing approximately 15 elements and seizing vehicles as war spoils. 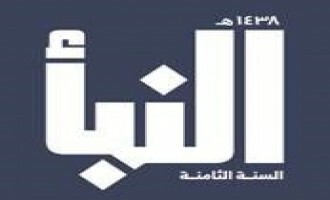 Harakat Sawa'd Misr (Arms of Egypt Movement), or "Hasam," claimed killing six Egyptian policemen in a nighttime shooting on their patrol in the Egyptian capital, Cairo. 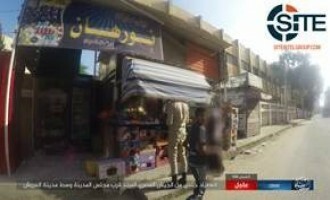 The Islamic State’s (IS) Sinai Province published photos of murdering an Egyptian soldier in a market near the city council in downtown Arish. 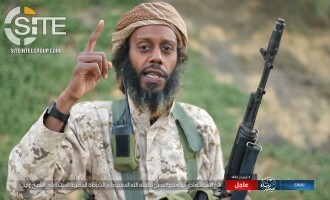 After calling on the Islamic State’s (IS) Sinai Province and the Bedouin Tarabin tribe to resolve their conflict, and following Sinai Province recently carrying out a suicide bombing on a Tarabin position, the group “Rabitah Ahl al-Sunnah wal Jama’a” reiterated its demand for the fighting to end. 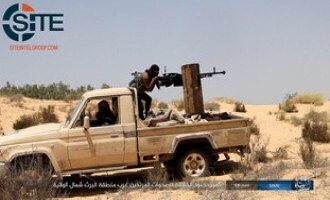 The Islamic State’s (IS) Sinai Province claimed killing at least 40 members of the Tarabin tribe at their checkpoint near Rafah. 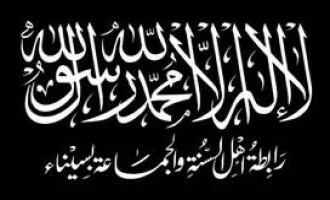 A Sinai-based group calling itself “Rabitah Ahl al-Sunnah wal Jama’a” called on the Islamic State’s (IS) Sinai Province and the Bedouin Tarabin tribe to resolve their conflict and set aside their weapons. 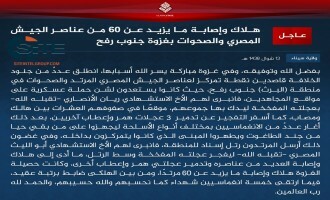 The Islamic State’s (IS) ‘Amaq News Agency reported that the group is responsible for the attack near St. Catherine’s Monastery in south Sinai. 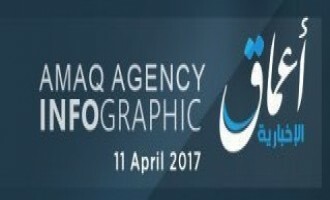 The Islamic State’s (IS) ‘Amaq News Agency released an infographic tallying Egyptian forces killed in the group’s Sinai Province between January 1 and April 11 of 2017. 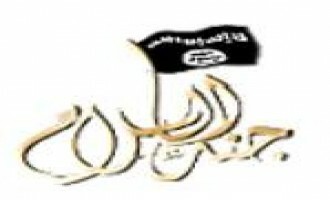 Harakat Sawa'd Misr (Arms of Egypt Movement), or "Hasam," remarked on the Coptic church bombings claimed by the Islamic state (IS) in Alexandria and Tanta, and said that the emergency law enacted in their wake "means nothing" to its fighters.